The MoProAuto Original! 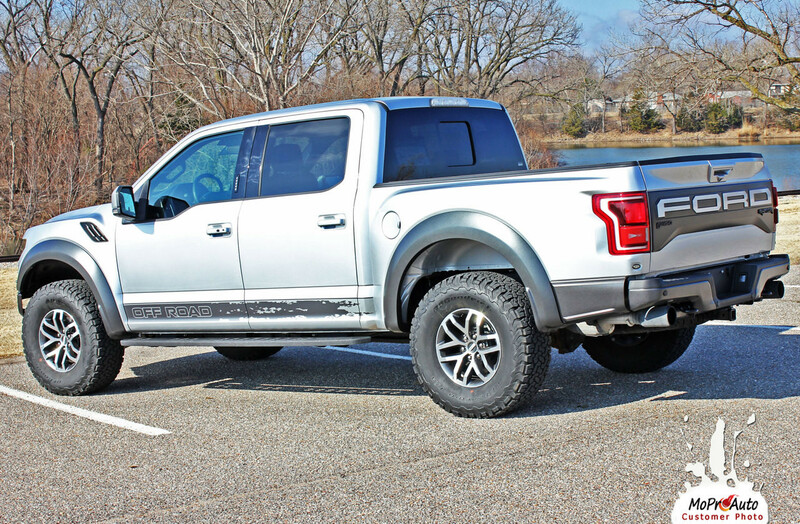 The Ford Raptor is a mean machine and ready for some off-road action! 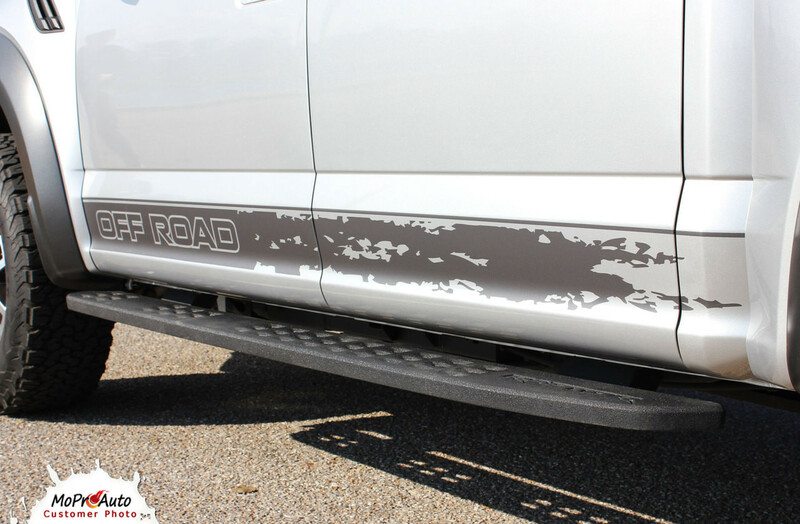 Add personality and style to your Ford Raptor with a quality vinyl graphic! 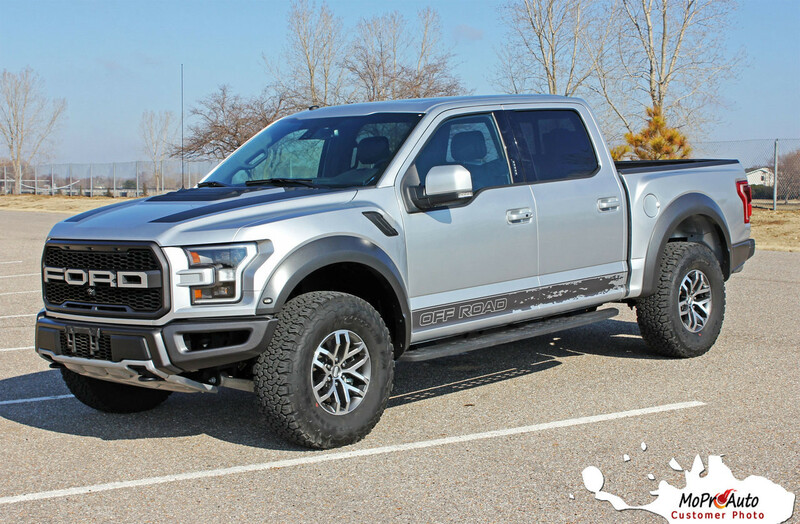 We offer specially designed vinyl stripes including upper door stripe kits, lower rocker panel stripes, hood graphics, and truck body stripe kits for the Ford Raptor models. 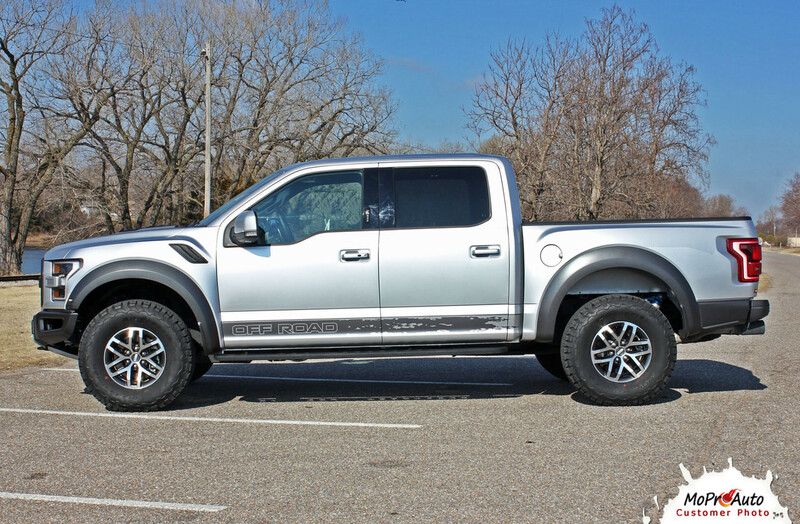 This Ford Raptor VELOCITOR ROCKER vinyl graphic accent kit is designed for the 2018 2019 2020 Ford Raptor. 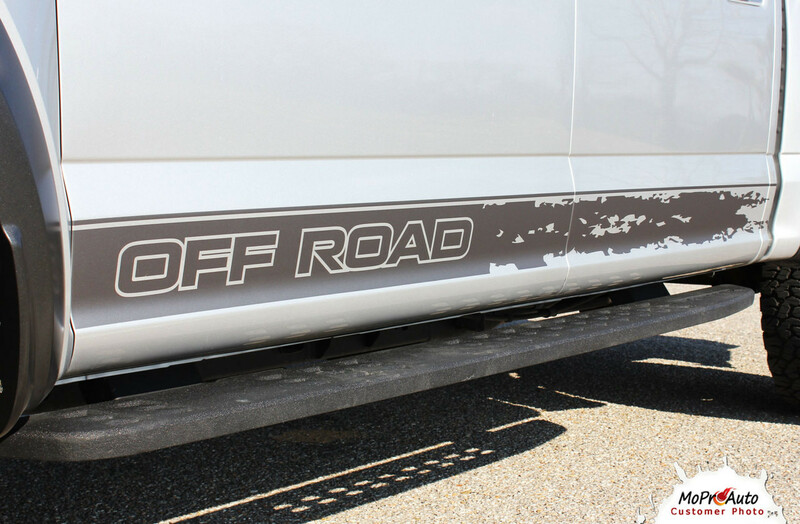 The vinyl stripe sections included with this vehicle specific vinyl graphic are driver and passenger side vinyl decal stripes as shown. 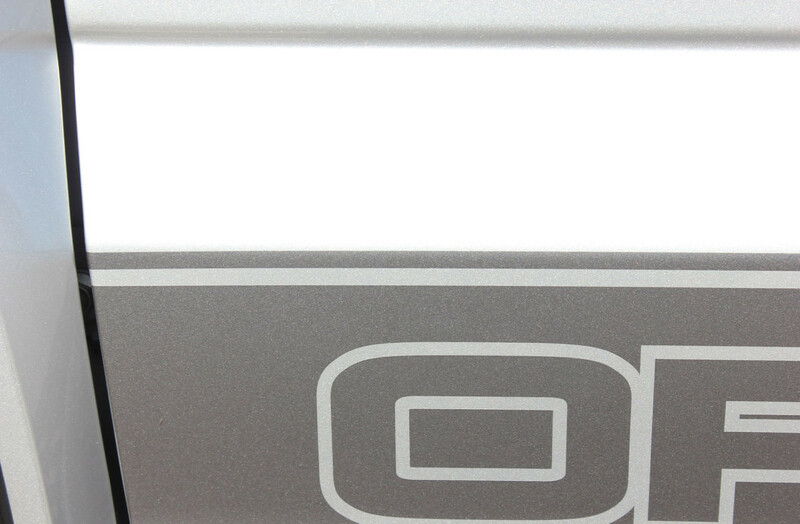 Choose the options needed from the menu on this page, including the premium cast automotive vinyl grade. 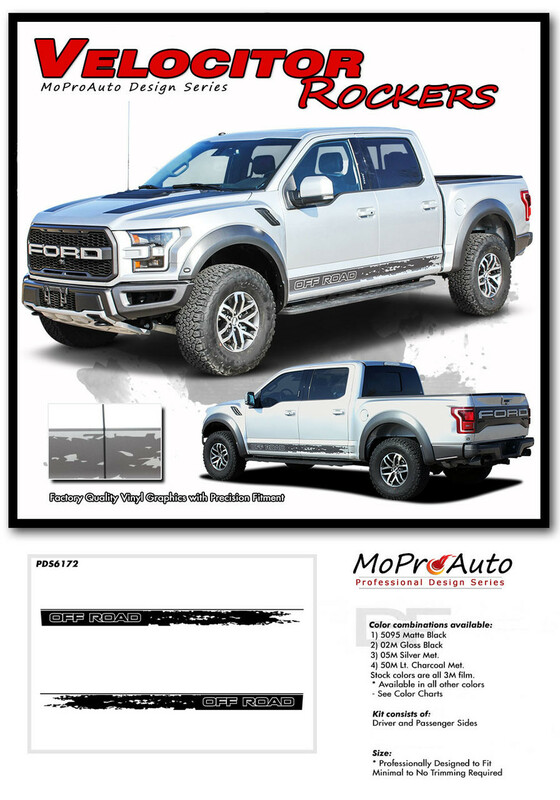 Application Fitment : These professional quality MoProAuto Pro Design Series Vinyl Graphic and Stripe Kits fit any Ford Raptor models from 2018 2019 2020 model years.